The Atlit detainee camp, located near the coastal town of Atlit, tells the story of the Ma'apilim (Jewish immigrants) to Palestine. 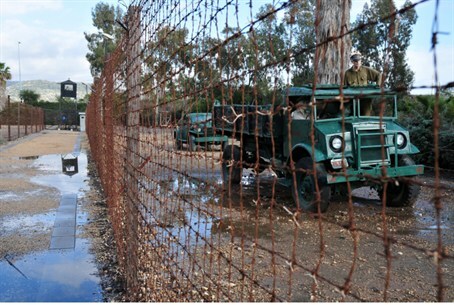 The Atlit detainee camp, located near the coastal town of Atlit just south of Haifa, was a detention camp established in the 1930s by the British to prevent Jewish refugees, mainly Holocaust survivors, from entering what was then Palestine. Today, the camp is a museum which tells the story of those Ma’apilim (illegal Jewish immigrants). Arutz Sheva took a video tour of the museum. The British brought the illegal immigrants to the Atlit camp and placed them there until they were released. When one visits the detention camp one can’t help but notice the striking similarities between the camp and the Nazi death camps in Europe, but as Pomerancblum said, the difference is that “this place is the revival. This place symbolizes the strength of Jewish aliyah to Israel, also the illegal one, but mostly the will and the desire to establish a state. One of the more impressive exhibits at the detention camp turned museum is the Galina ship which was brought from Latvia.